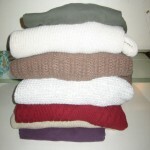 Although #3 child balked at me giving away anything in his trunk of childhood mementos, he was surprisingly cooperative about letting me give away a number of his sweaters stored at our house. It could be that these were mostly clothes I had bought him, or which had been handed down to him, that he wasn’t all that keen on anyway. Or maybe it’s just that the temperature has been hovering between 90-95 degrees and it’s hard to think about needing sweaters. (I guess if he had really loved them, he would have taken them with him to his apartment.) 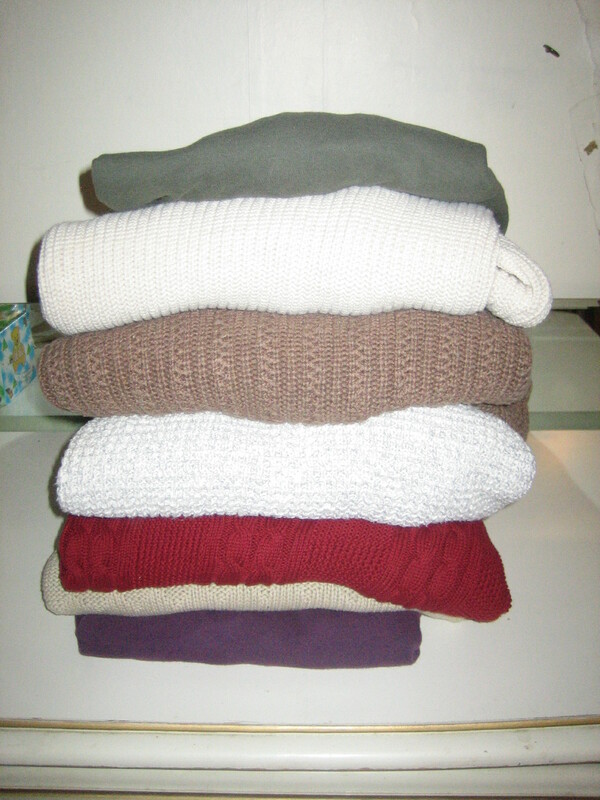 Anyway, this week I easily collected over 7 sweaters to give away.